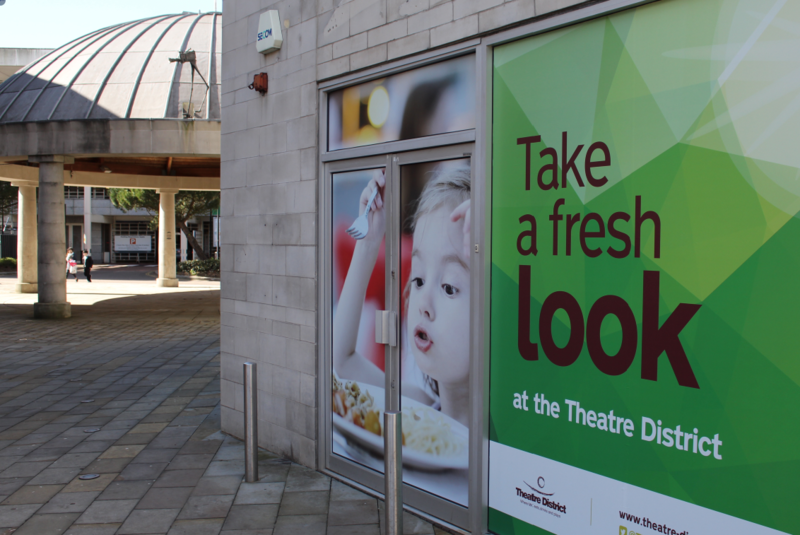 TravisBead have worked with Milton Keynes Theatre District for a number of years, designing event and promotional literature. 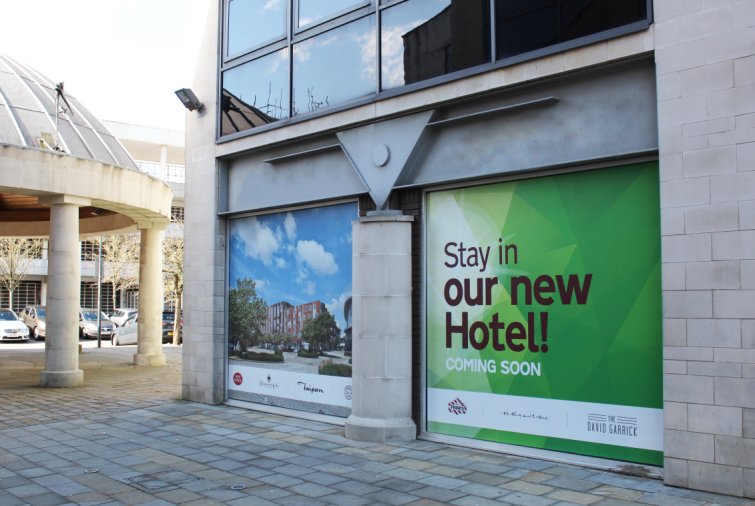 We were recently asked to design a scheme to cover the windows of some empty units. 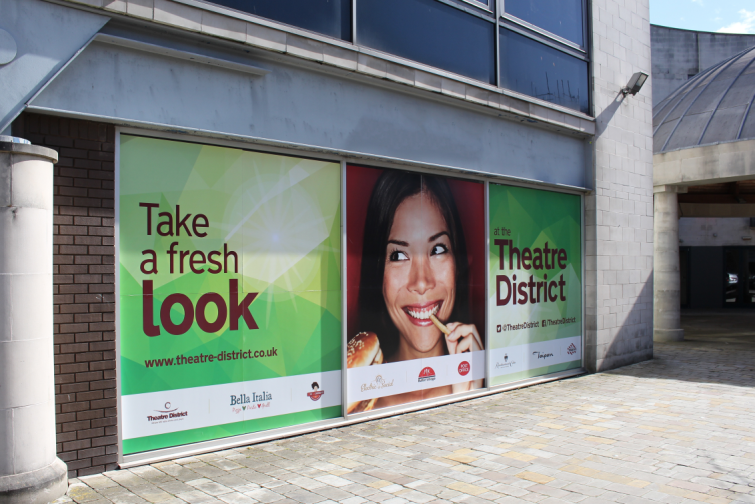 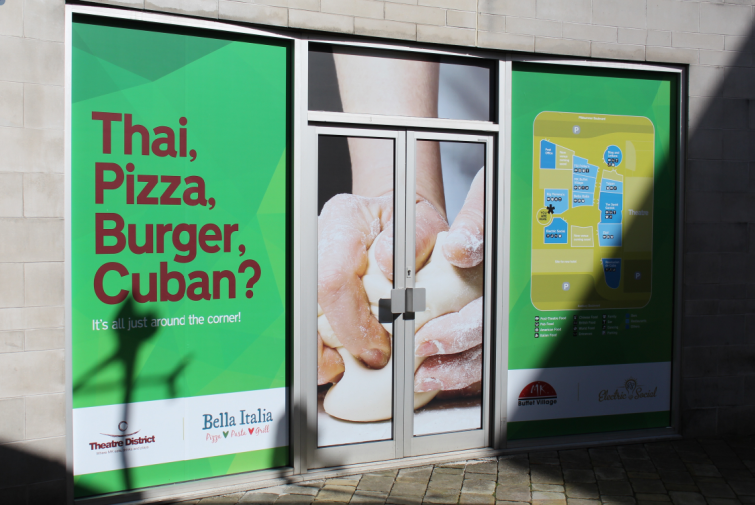 The brief was to create window graphics that highlighted the new developments in the area and also the breadth of restaurants available. 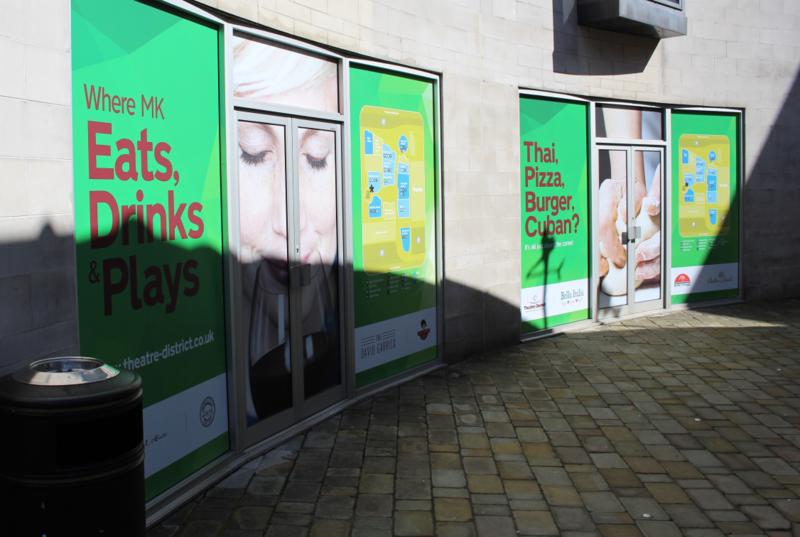 With 19 windows in total to cover we adopted a bold geometric vivid green look with full bleed images and large text. It has the effect of brightening up an area that looked uninviting due to vacant units and provides a space were the owners can showcase current and future developments.